Janice comes from a family of artists. Her mother was a well-known watercolor landscape painter, her father a jeweller. Both ignited her artistic talents from a young age. Janice went on to graduate from Emily Carr with a diploma in graphic design. 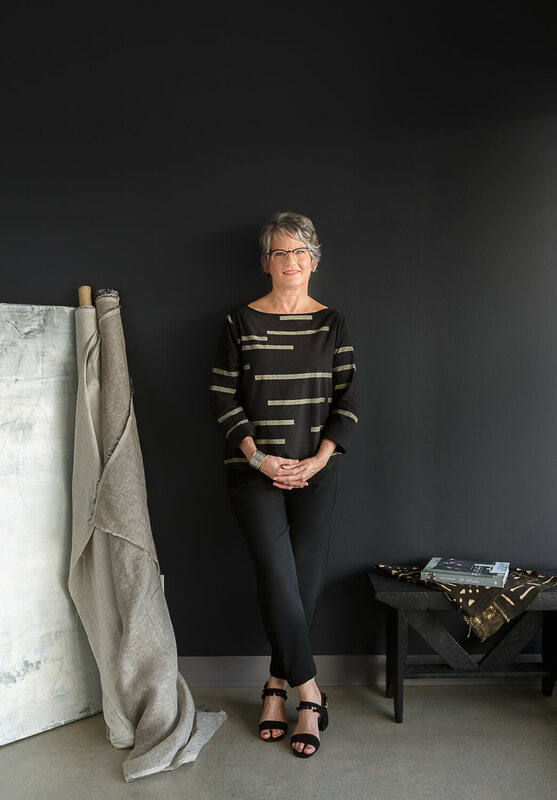 After practicing both graphics and textile printing she found herself in the interior design industry. Janice’s versatility makes her a valuable asset to Area3. You may find Janice on a job site, coordinating trades or even assembling Ikea furniture. Everyone enjoys her calm optimistic demeanour, and quirky sense of humour. Travels opened my eyes and mind to the world of rich textiles and local artisans. The architecture, people and local cuisine hold an important role as well. In my twenty’s I found myself in Lamu, Kenya, in awe of its rich blend of cultures. The donkey wide alleys winding among stone houses and elaborately carved wooden doors spoke to my soul.